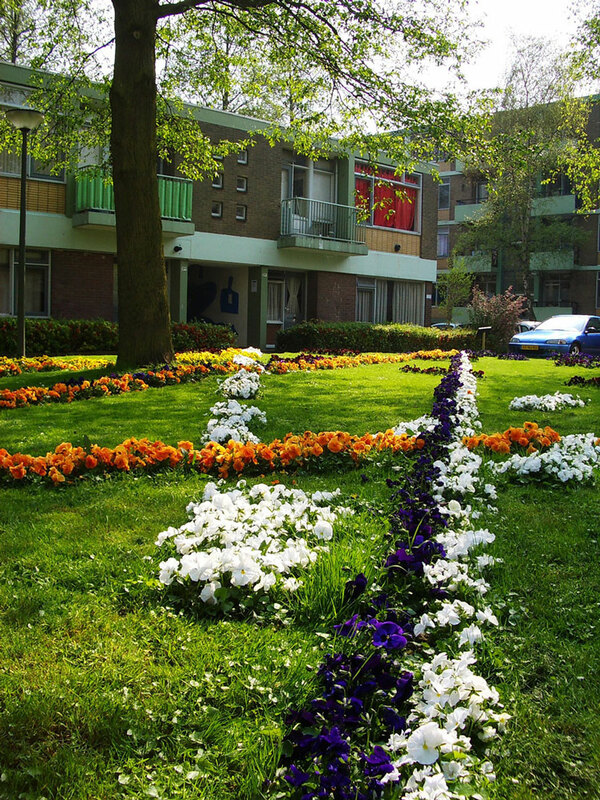 Planning policies determined that the apartments in the post-war neighborhood of Vlaardingen Oost, NL must be demolished, and the residents re-housed. Residents of 3 apartment buildings were asked to talk about their connections with their neighbors. During a series of interviews, 6 residents described their contacts with their neighbors, old and new. 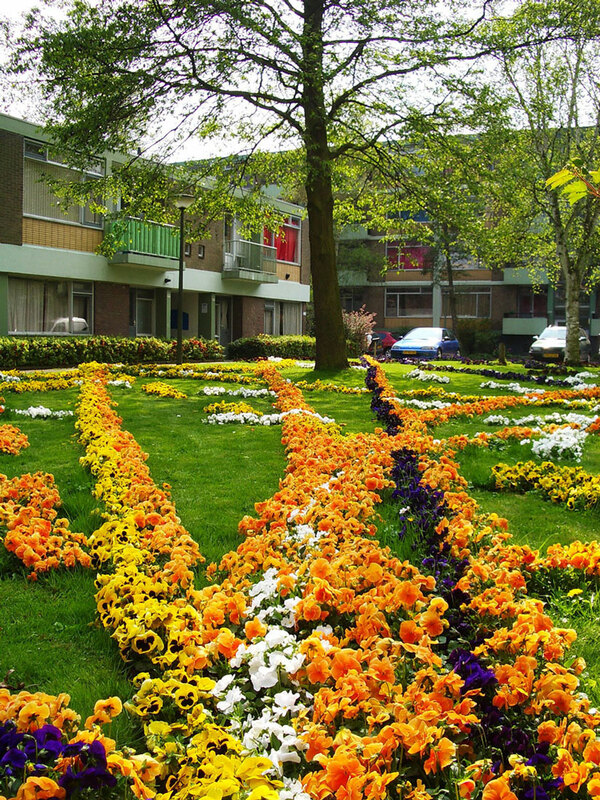 Some residents had lived there for many years and knew the neighborhood and the people in it extremely well. 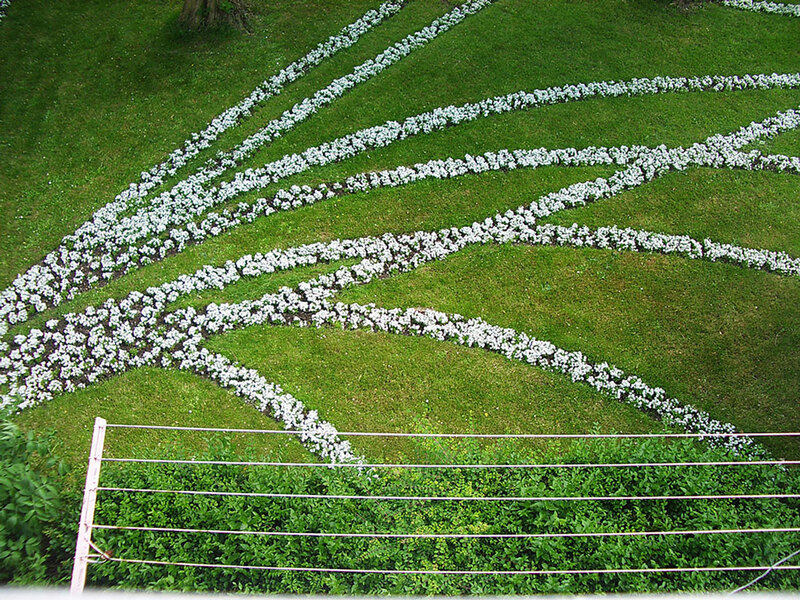 By following the lines of flowers, the social network of the residents becomes visible, just before the networks were to disappear permanently. 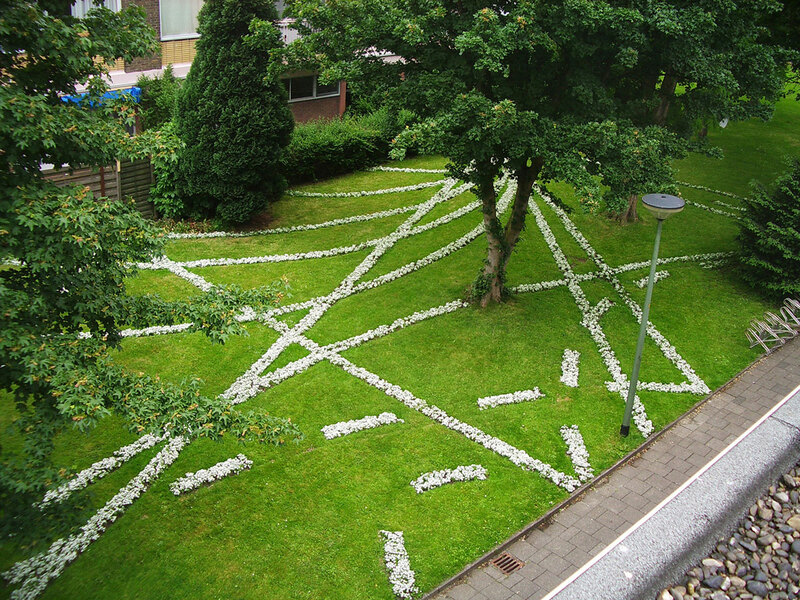 Commissioned for De Blauwe Periode with the support of the housing authority WaterWegWonen. 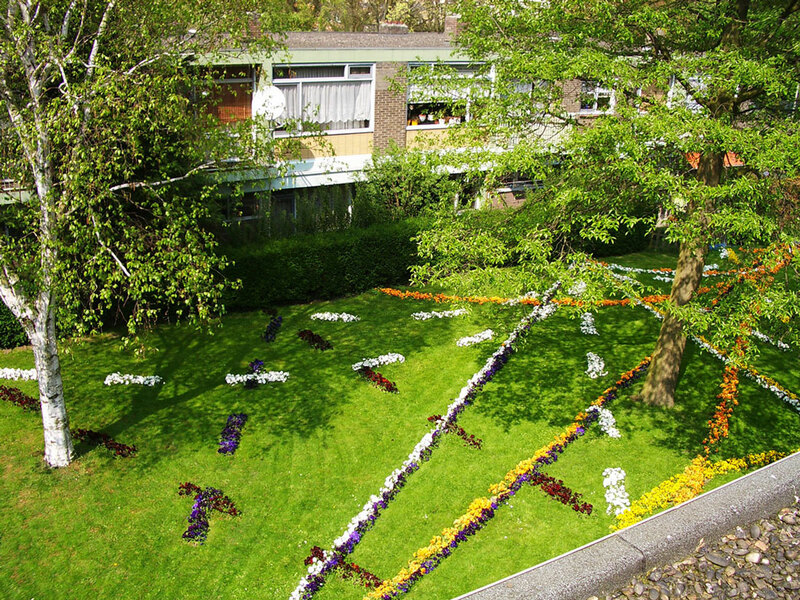 The project was resumed in the Autumn, using winter pansies. This time each household had their own color. The lines go from door to door, sometimes intersecting the building in the middle to connect with someone on the other side. Solid lines show connections between people who at the time of the interview were still living there,while the dotted lines are for those who had already moved.